Fill out the user information form via the link provided on the auction company's website. Make sure to provide a valid email address and create a memorable password. Once the form is submitted you will receive an email with a username and can join the Sale. You must REGISTER and receive approval from the auction company you will be able to bid using the Online system. How do I bid in an Online Sale? 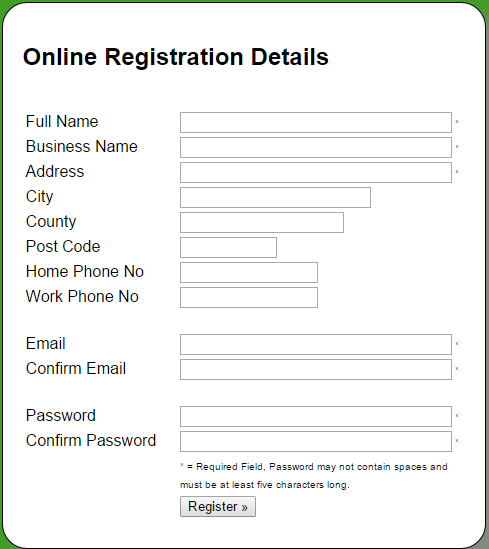 Follow the Registration guide and use the Registration link provided by the Market. Who should I contact if I experience technical problems? My Username/ Password is not working? Check your email Inbox and ensure you have received the validation email. Why can I not hear any sound? Make sure you select the 'audio' option under the video display area and check that your computer speakers are not muted. Why can I not see the sales ring video? Make sure you select the 'video' option under the video display area.